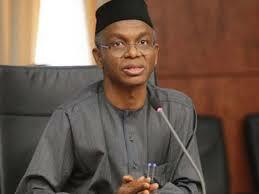 Kaduna State Governor Nasir Ahmad El Rufai is bereaved. He lost his elder brother to death hours ago. The governor's elder brother, Retired AVM Aliyu Ahmad Rufai, was born on Nov. 10, 1948 in Zaria, Kaduna State and was commissioned into the Nigerian Air Force in 1972. Until his retirement in 2002, he was of the rank of Air Vice Marshall. He is survived by his wife, Hajiya Safiya Rufai, six children, brothers and sisters, which also includes Kaduna State Gov. El-Rufai and Alhaji Bashir Ahmad El-Rufai.